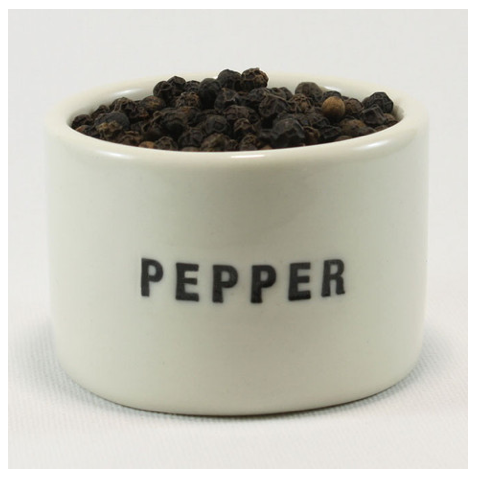 A lovely gift for yourself or a friend, a sweet little pot with the word pepper embossed into the clay. Team it up with the salt pot to complete the set. Each pot may vary slightly, adding to its one-of-a-kind quality.